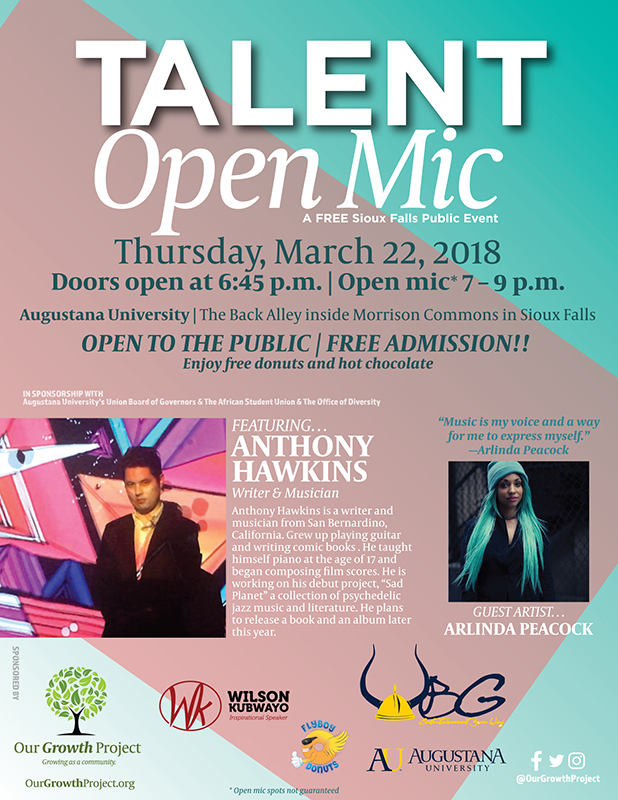 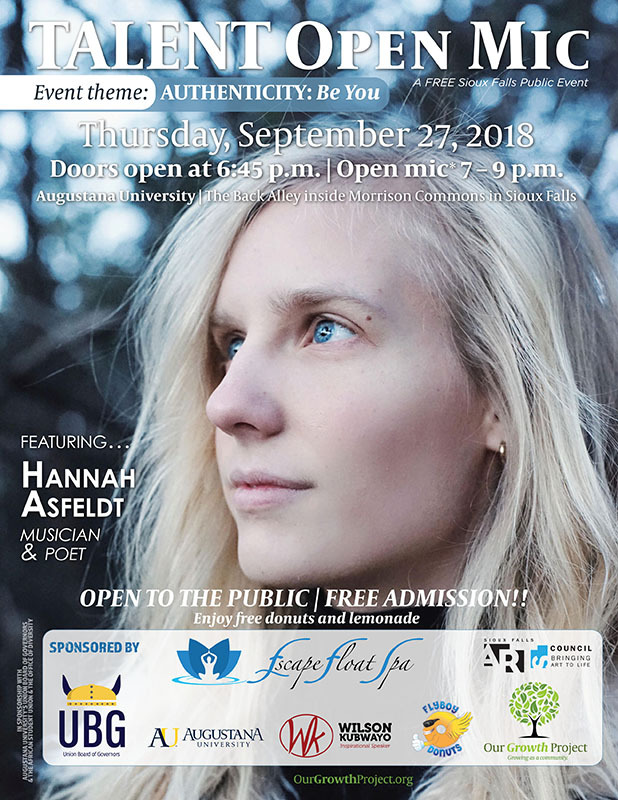 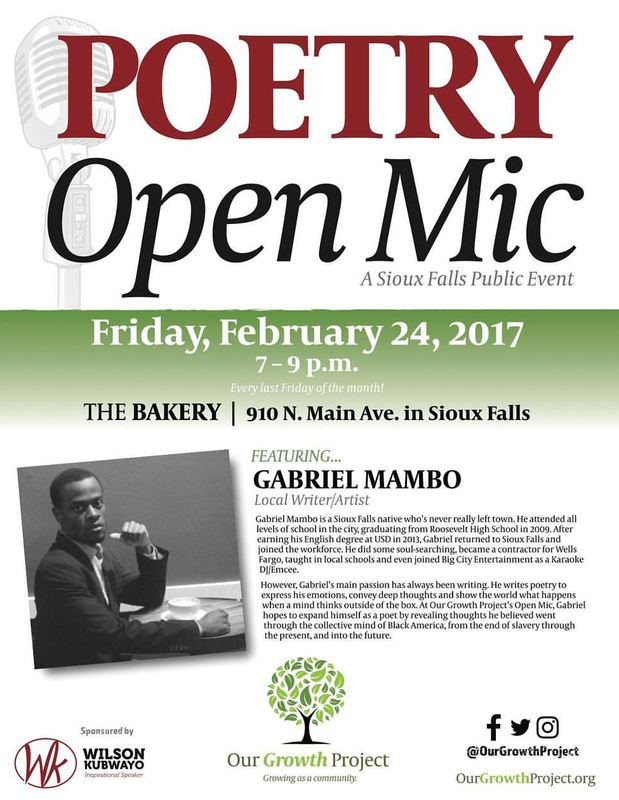 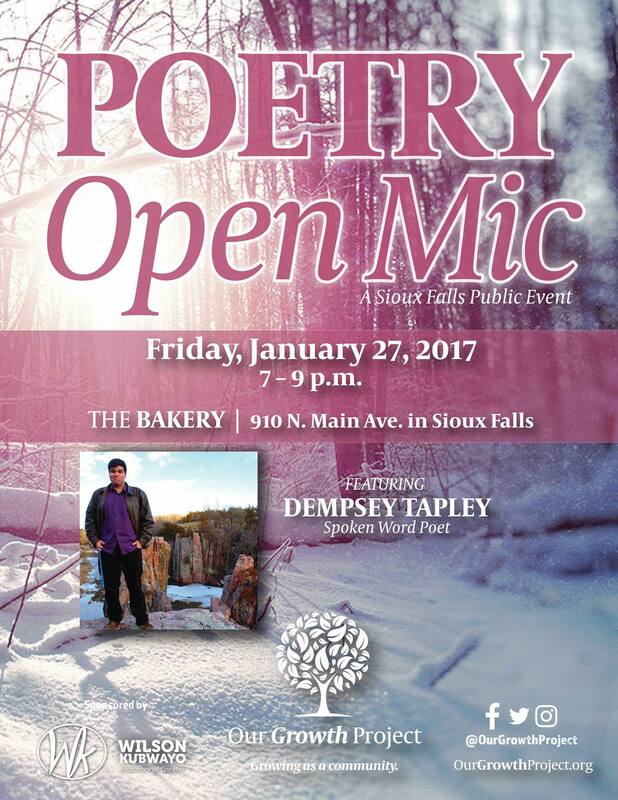 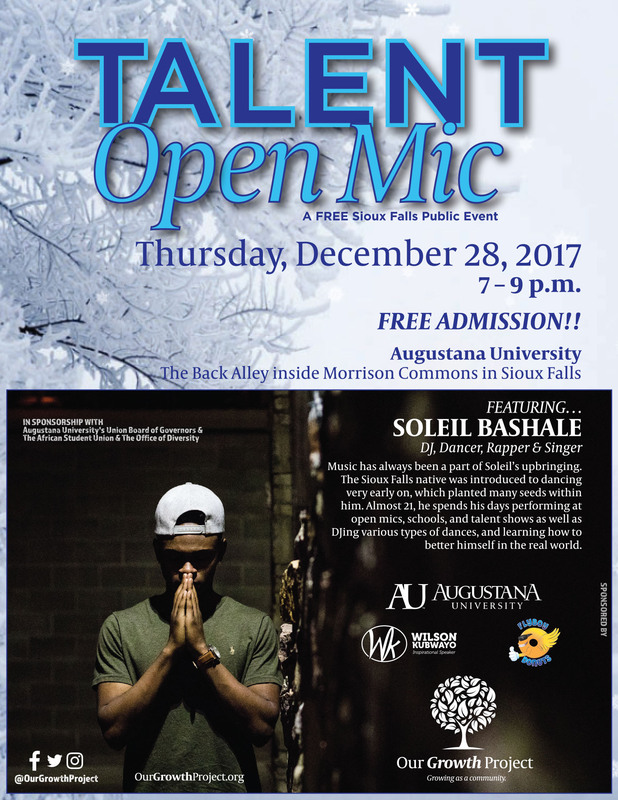 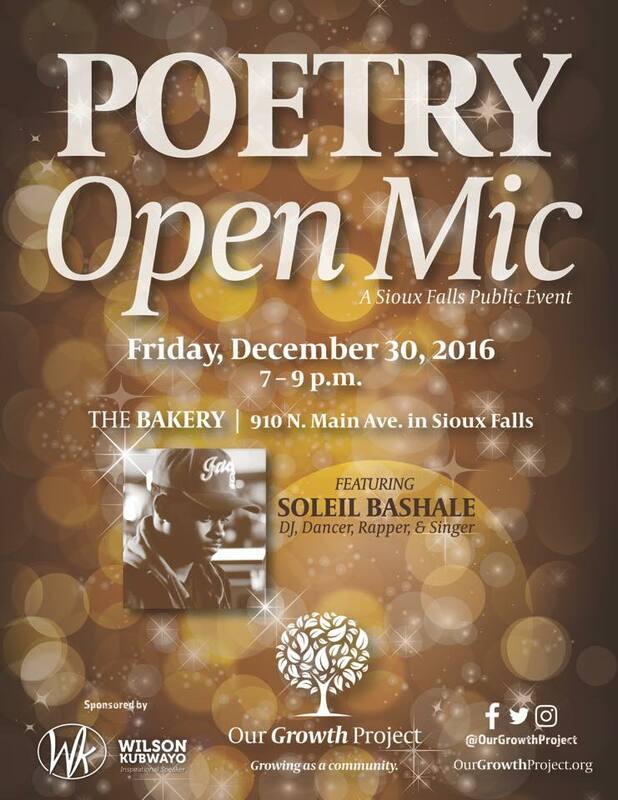 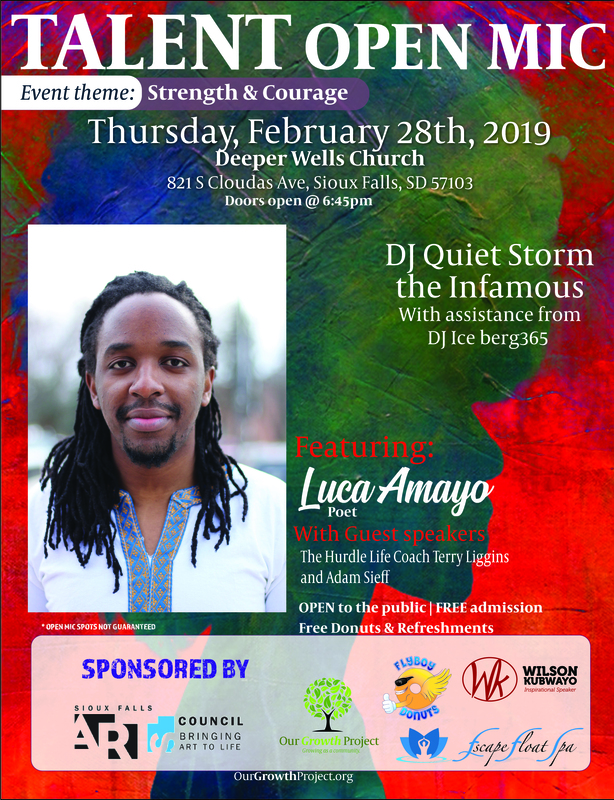 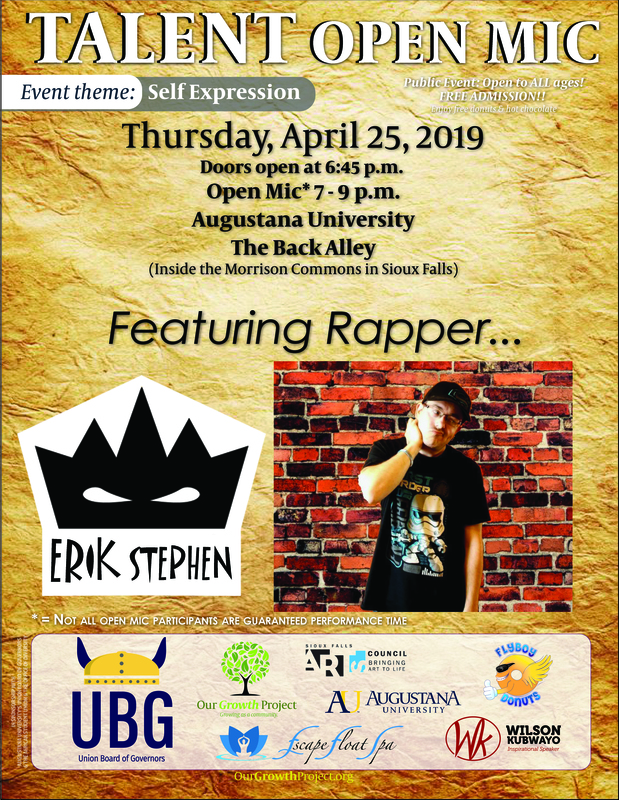 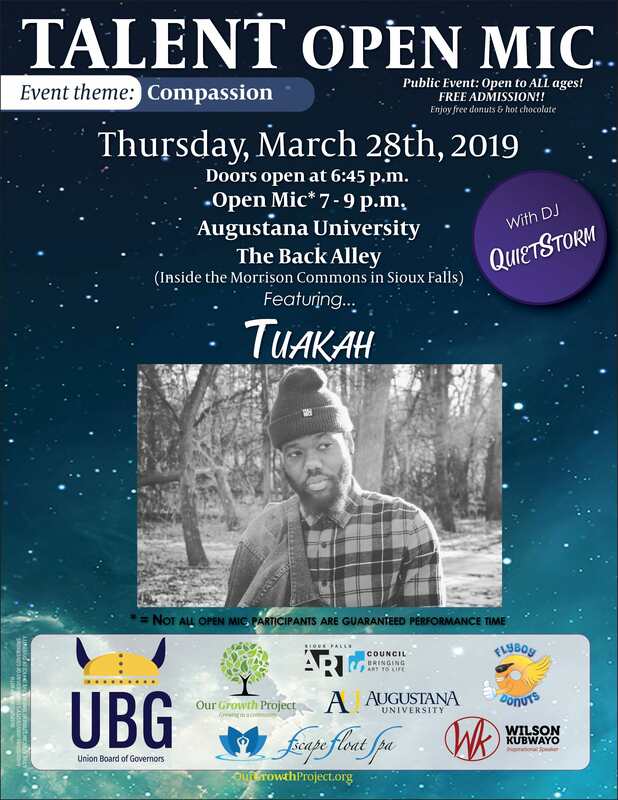 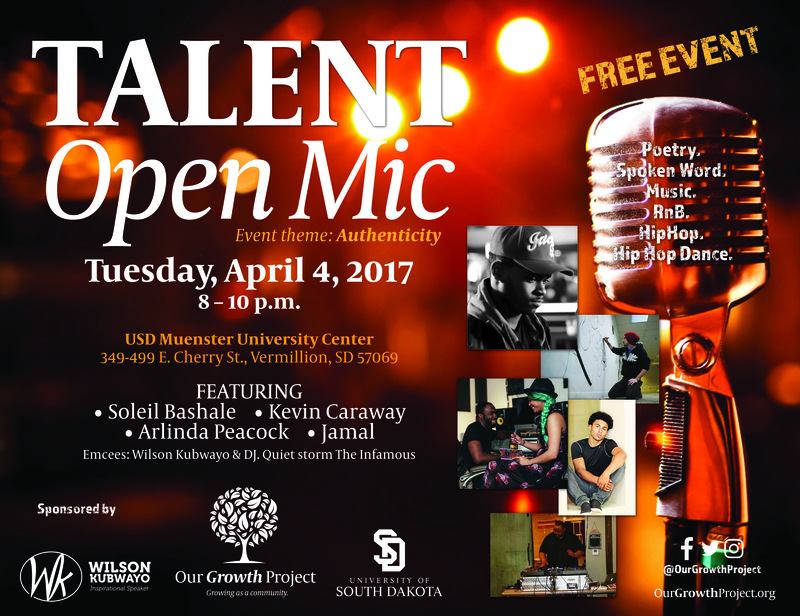 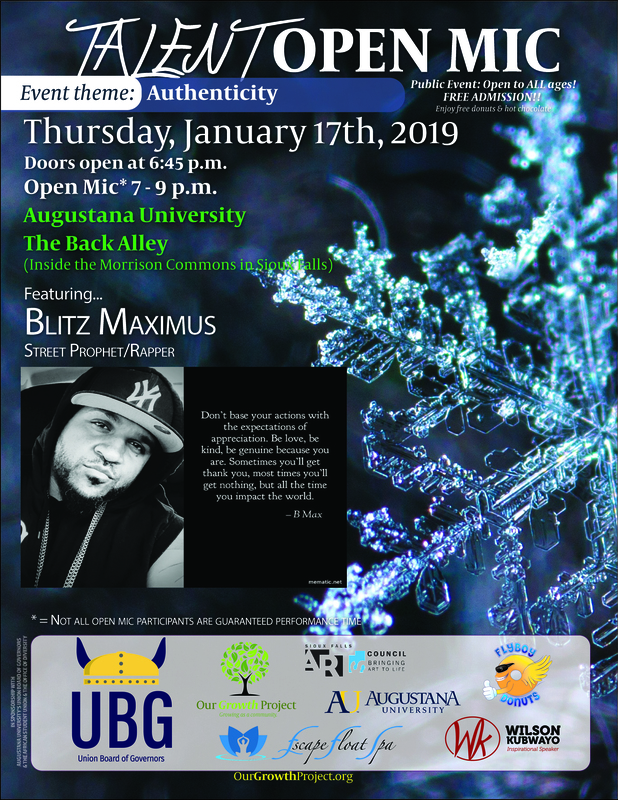 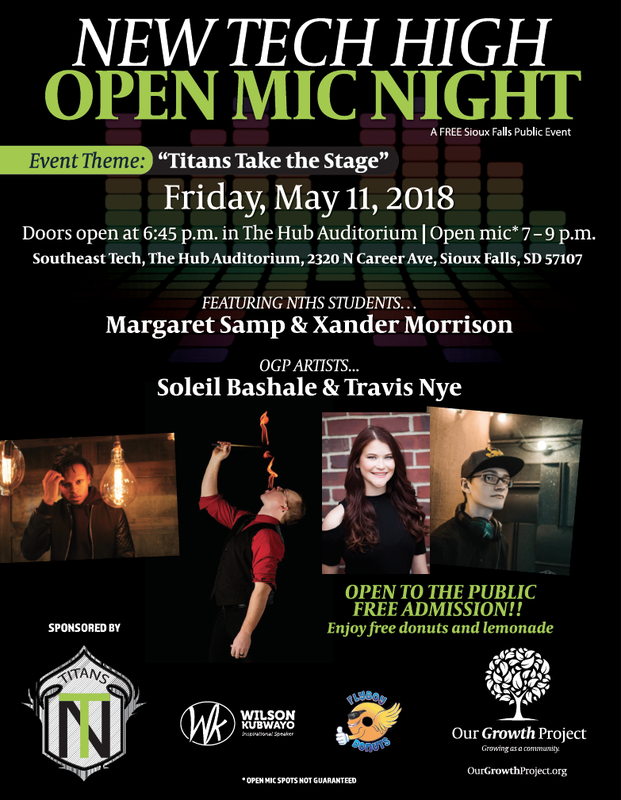 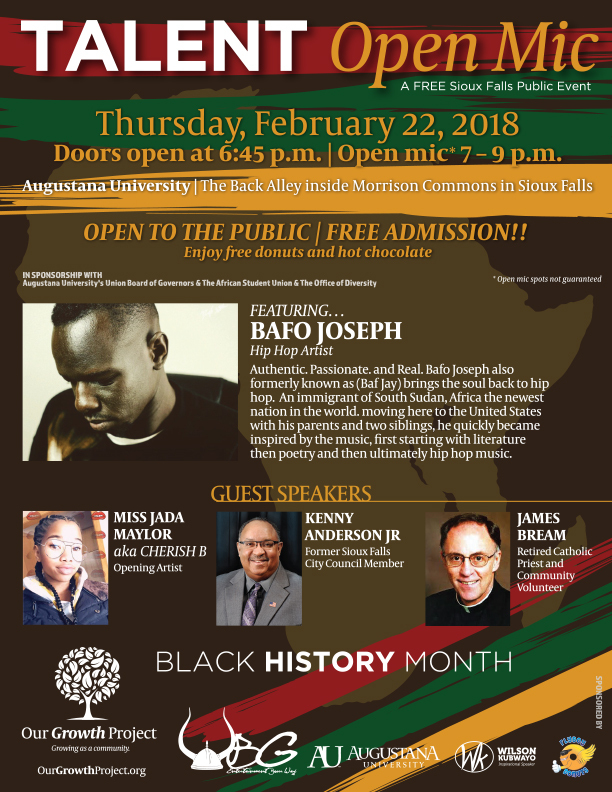 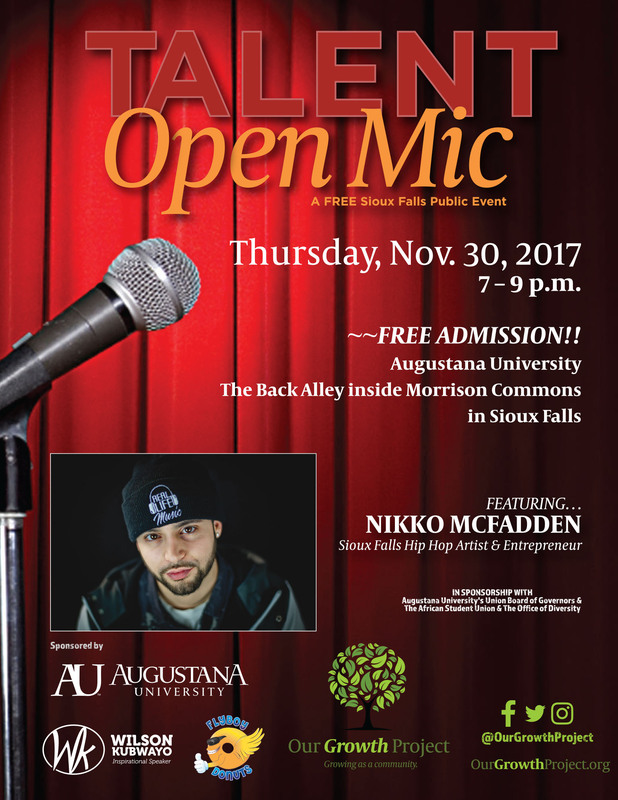 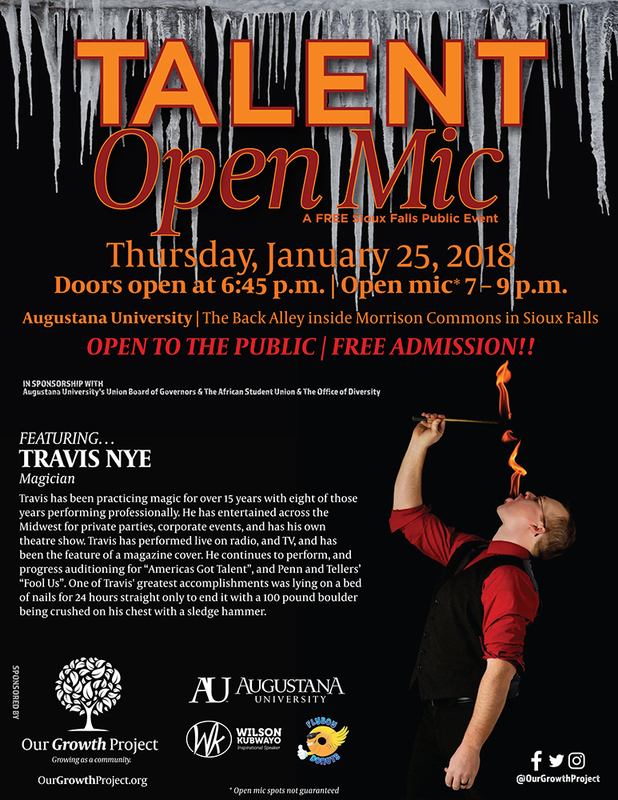 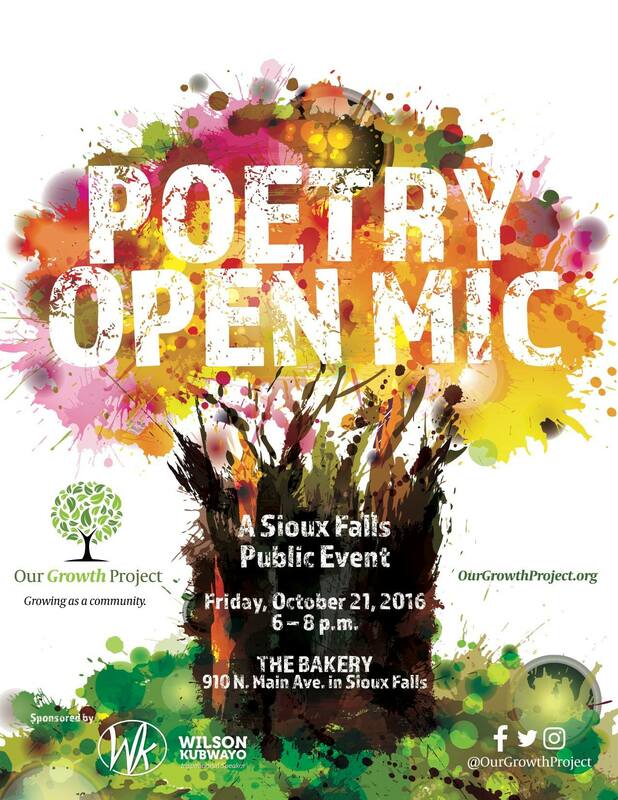 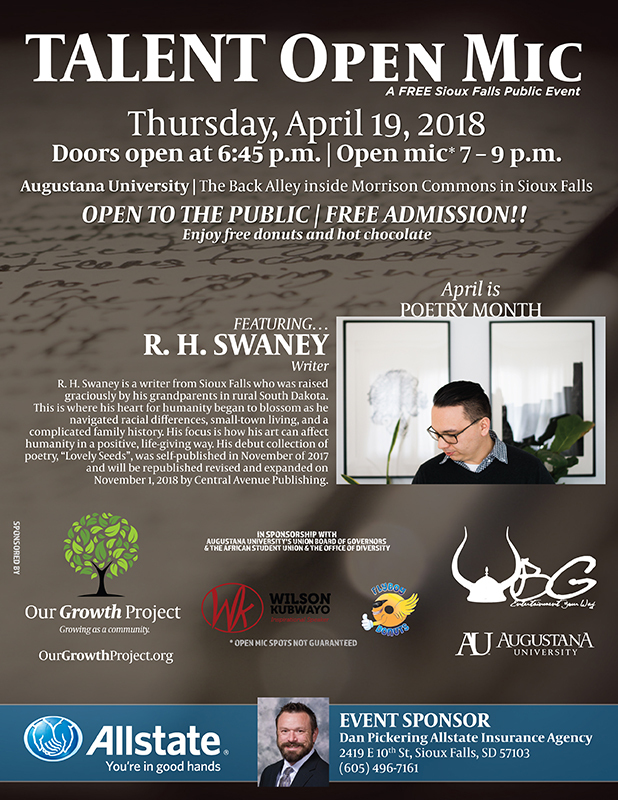 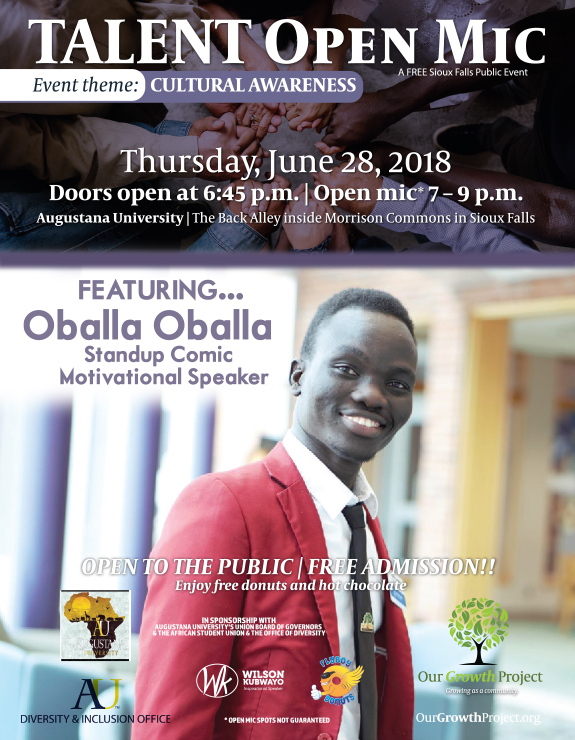 We host our FREE open mics at Augustana University at The Back Alley inside Morrison Commons in Sioux Falls. 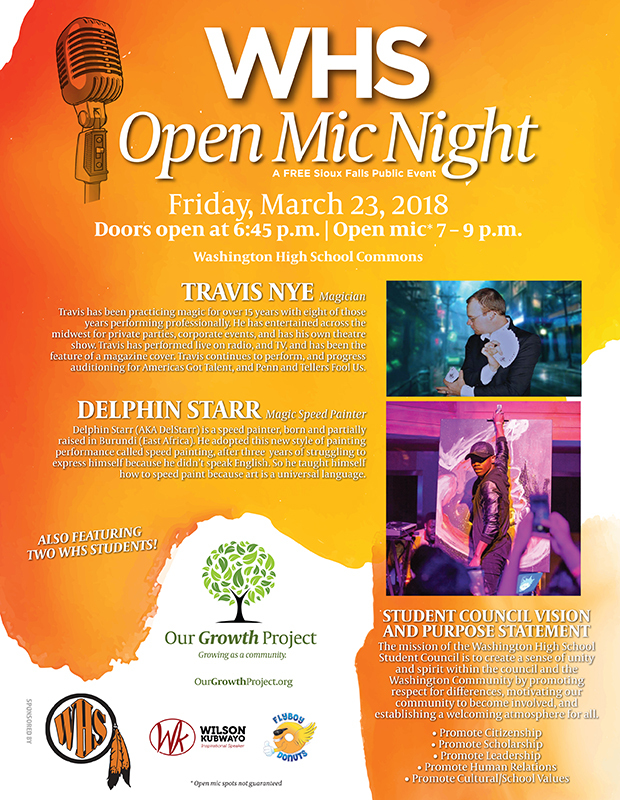 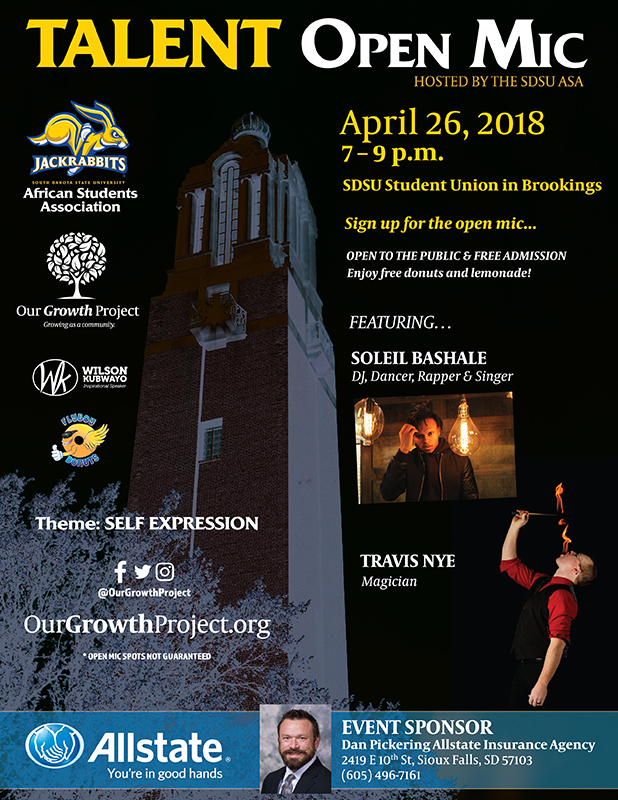 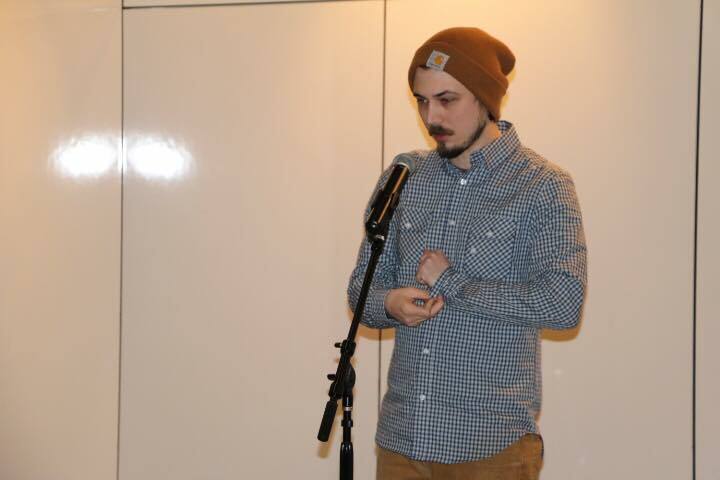 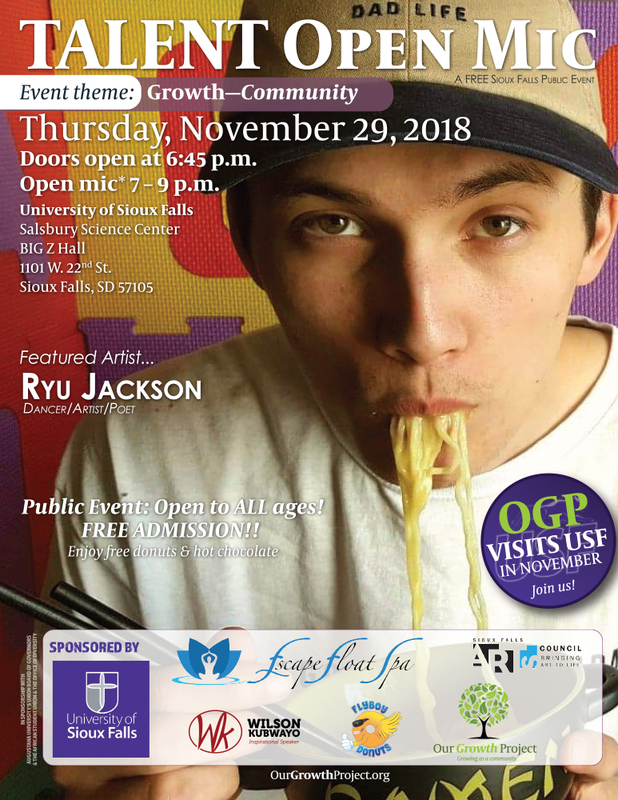 Our Growth Project open mics are two hour-long events that start with about ten empty slots where people can sign up and present their talents. 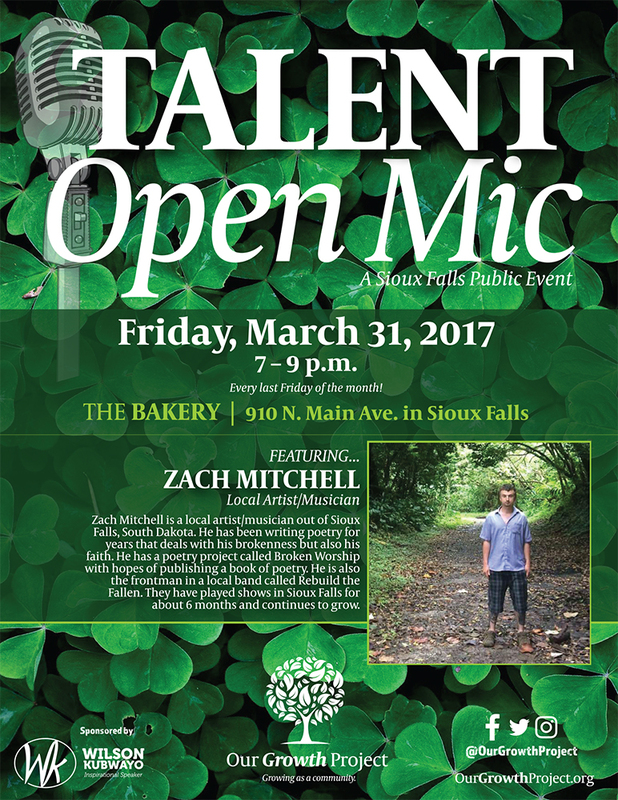 On the second part of the open mic, we have an opener for our featured artist of the month or of the event. 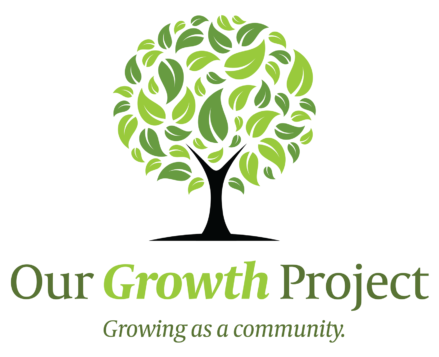 Our featured artist is anyone who the committee members of Our Growth Project suggest. 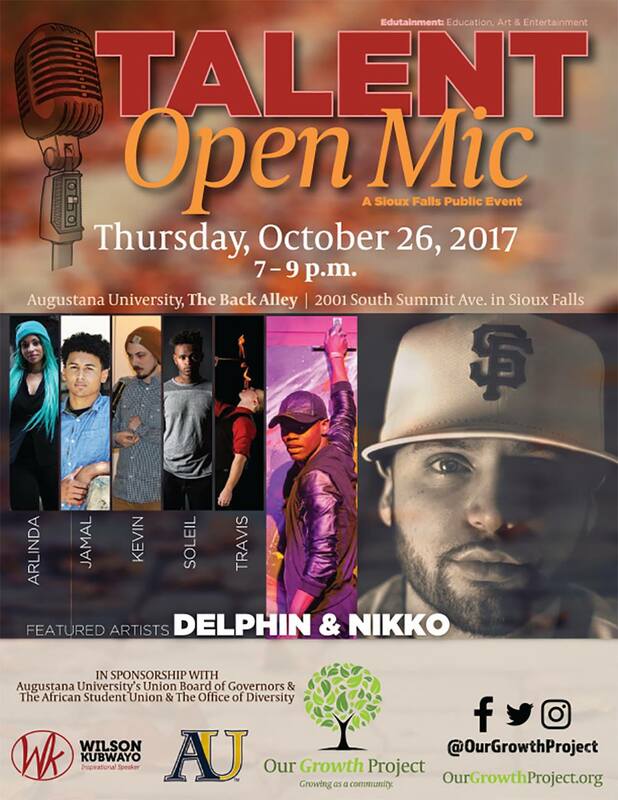 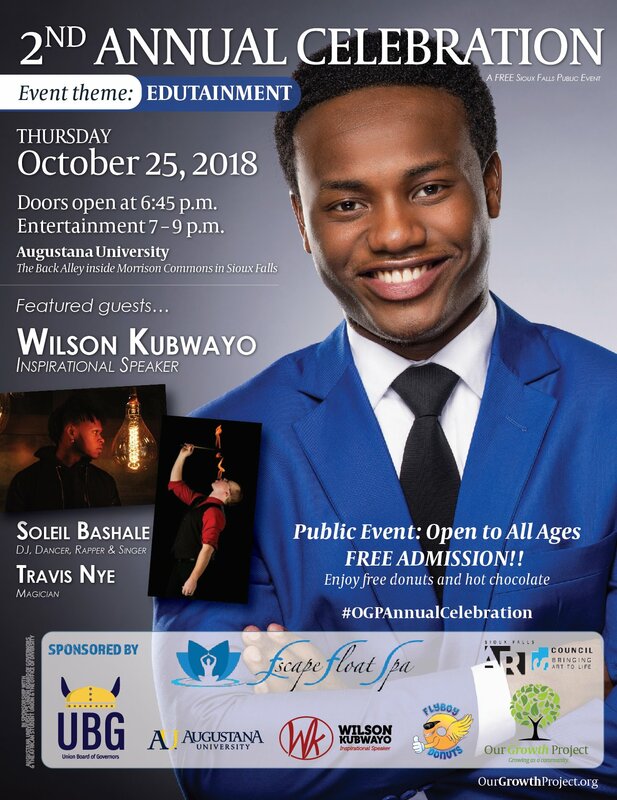 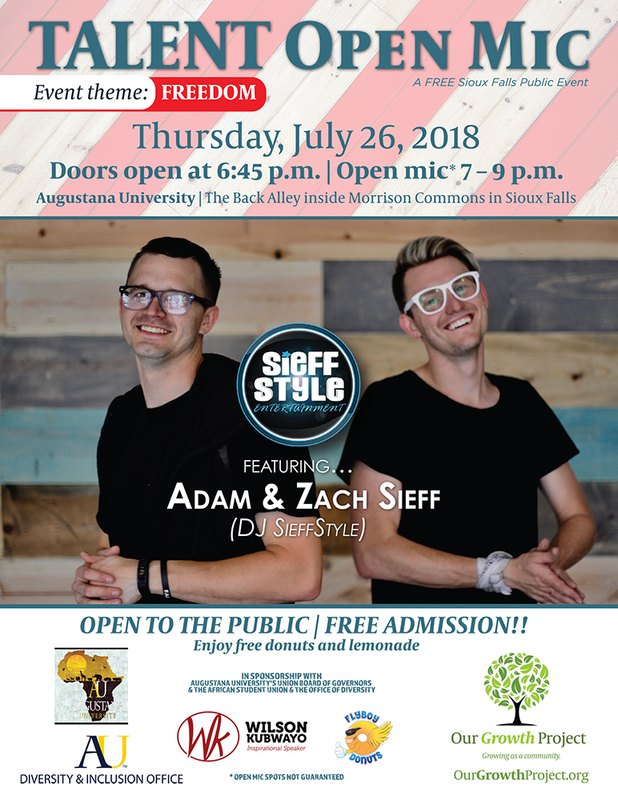 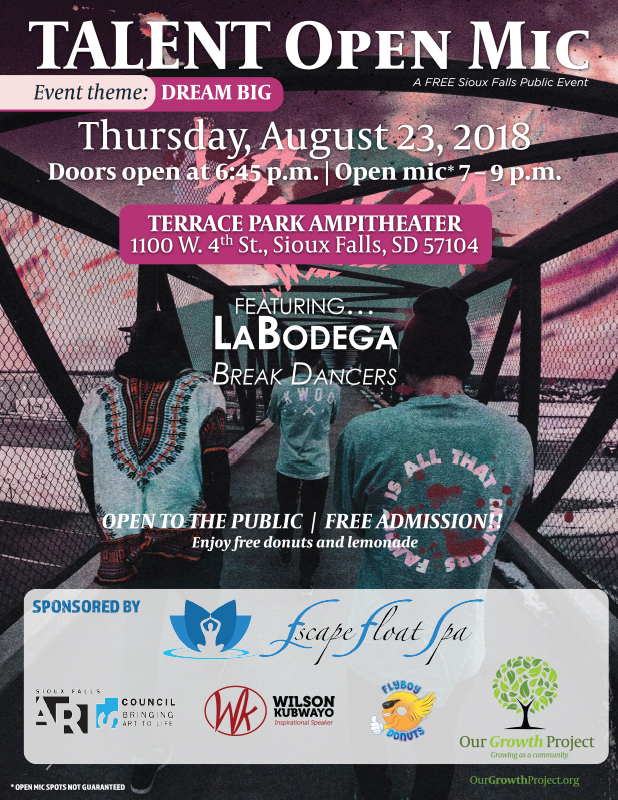 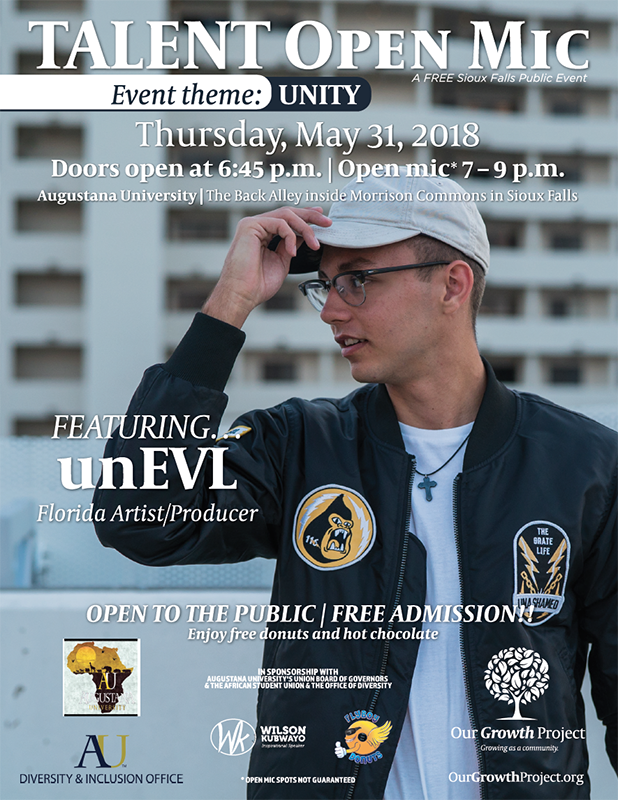 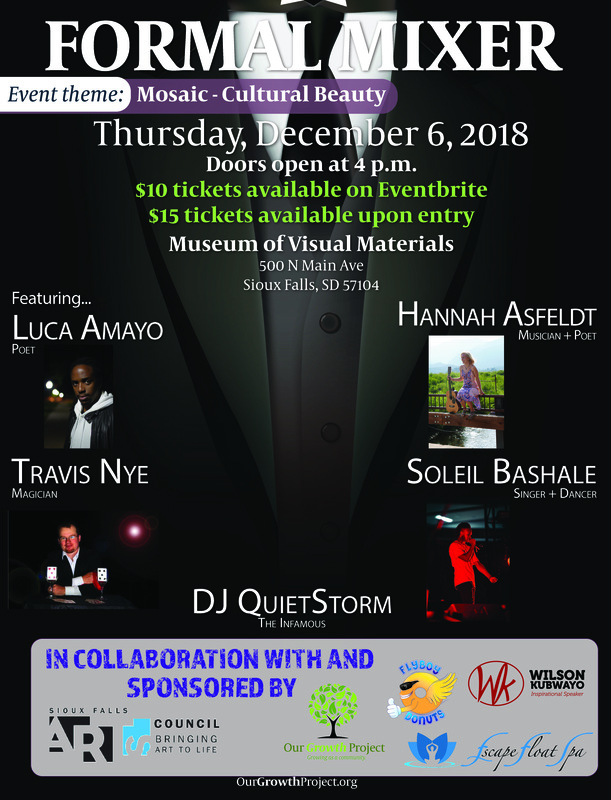 The featured artist gets a thirty-minute set to showcase their talents. 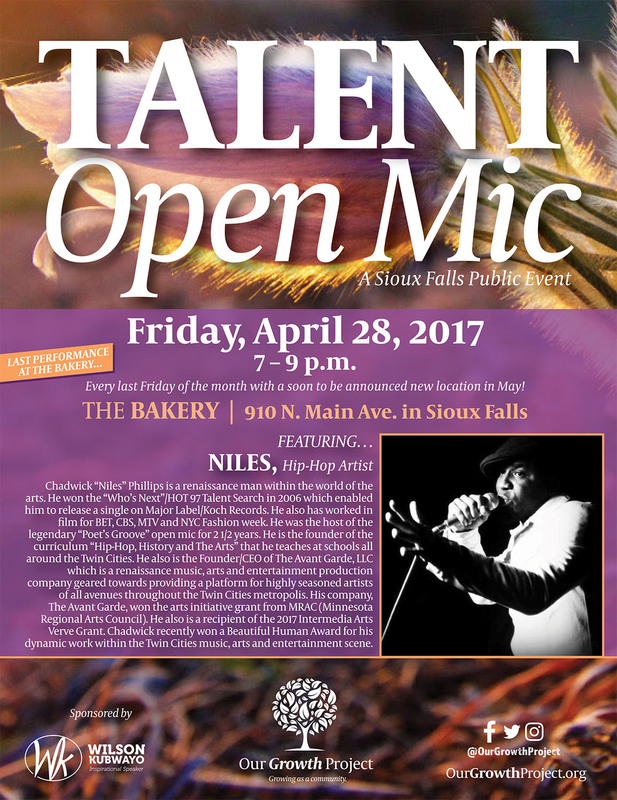 Our featured artists are local artists or artists from around the country whose talents possess a certain skill that can benefit the community. The content is educational, artsy, and entertaining. 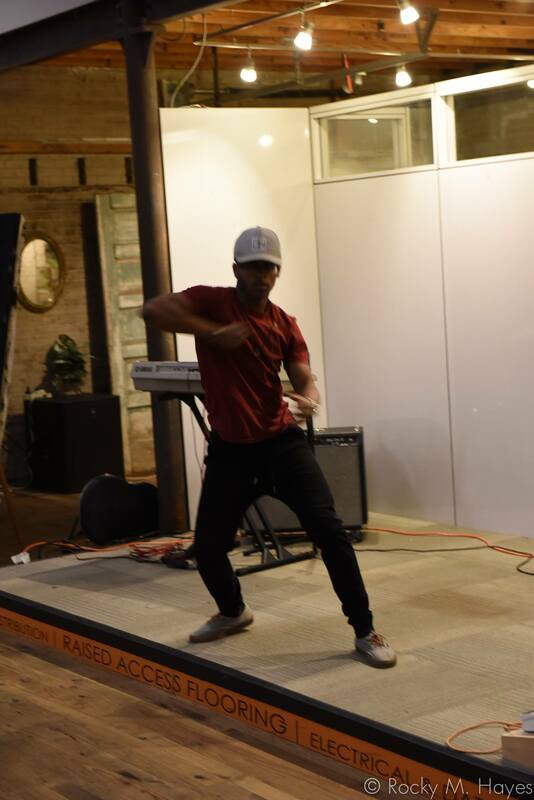 Would you like to nominate someone to become our featured artist? 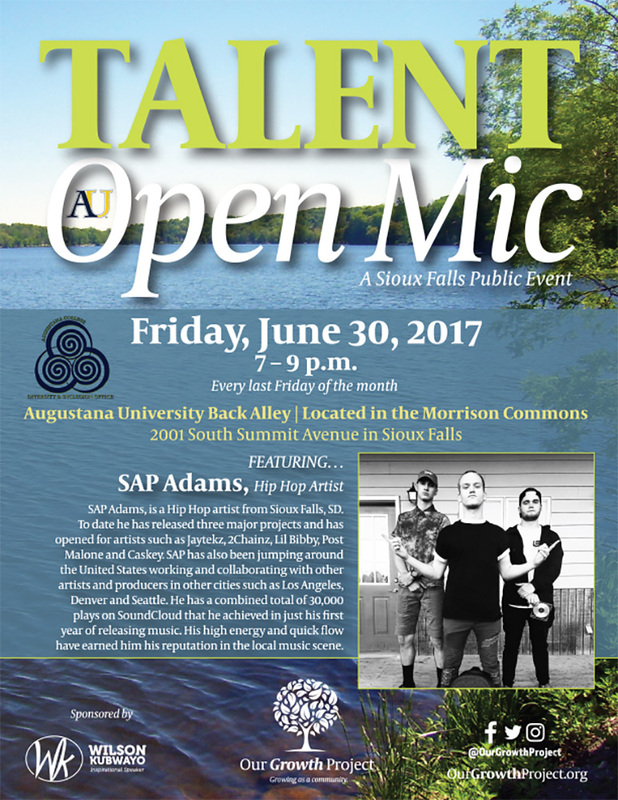 Send us their information!